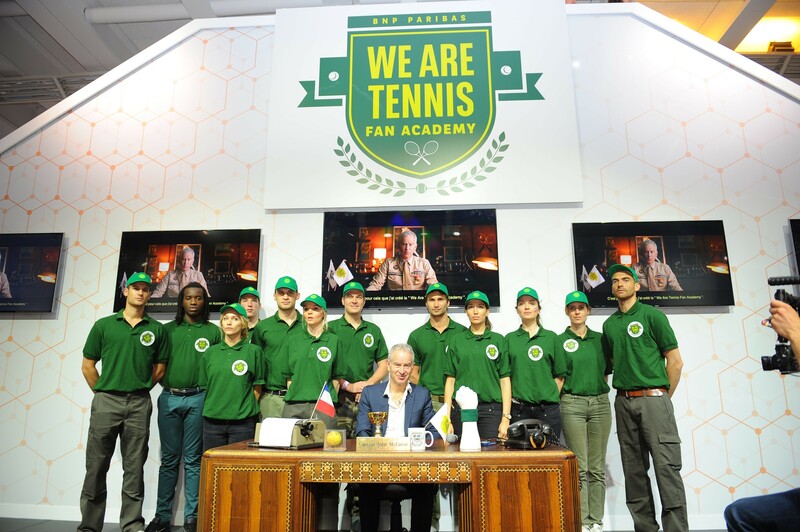 With the British summer grass court now upon us, BNP Paribas, the world’s leading tennis partner, is excited to launch the “We Are Tennis Fan Academy”, captained by tennis legend John McEnroe. The Fan Academy is the world’s first dedicated school for tennis fans. It aims to recruit and train tennis “super supporters” who will bring their passion to the various tournaments and competitions hosted by BNP Paribas. The Fan Academy’s first rendezvous will be the Quarter Final of the Davis Cup by BNP Paribas between GB and France that takes place at the Queen’s Club from 17 – 19 July. Fan recruitment starts today on http://fans.wearetennis.com/en via an interactive digital experience. From now until 20 June 2015, fans can record and submit a 30 second video to the website showing why they are a super supporter and deserve their place in the Fan Academy. The most innovative and passionate will be invited to attend a live online interview with John McEnroe, who will select the best of the best – namely the top 50 British and top 50 French fans – who will then attend a unique supporter training camp in London on 16 July, directly before the Quarter Final tie of the Davis Cup by BNP Paribas. The recruitment process for the “We Are Tennis Fan Academy” will continue throughout the year. BNP Paribas aims to roll out the Academy for all of its tournaments to help prime Super Fans to build the best atmosphere and support tennis like never before all over the world. Visit www.wearetennis.com and http://fans.wearetennis.com/en for more information on BNP Paribas and about the program.